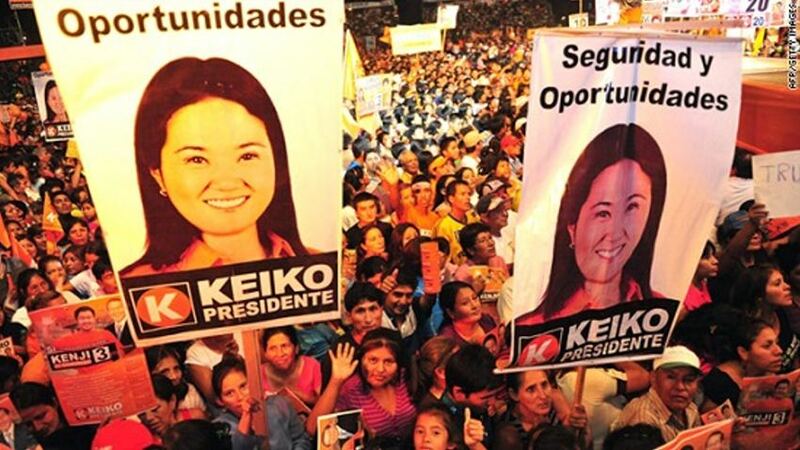 Keiko Fujimori will likely win the 2016 Peruvian presidential elections scheduled for this April. She is the daughter of deposed president Alberto Fujimori, who became one of the first heads of state to be convicted of human rights violations in Latin America. Q24N (Prensa Latina) The Peruvian Armed Forces began the deployment of 50,000 men to guarantee security during the Peruvian general elections on Sunday, Defense Minister Jakke Valakivi reported today. The soldiers are in charge of guarding the electoral colleges, most of which are located at schools, as well as the important logistic operation to support the distribution of the electoral material throughout the country. Valakivi made the statement during a visit to the northern city of Trujillo, capital of the region La Libertad, to supervise the military deployment for the elections in that territory, with 1,800 soldiers as reinforcement, and in all the north of the Peruvian coast. He said the Armed Forces do not have any contact with the electoral material, because their task is limited to guard the distribution. The National Registry of Identification and Marital Status extended, exceptionally up to Sunday, April 10, the validity of the expired identity cards, for those who are in that situation to be able to vote. In the elections on Sunday, almost 23 million citizens will vote, 884,924 that live abroad, who will elect a new president and 130 congresspeople, as well as five representatives to the Andean Parliament, for a five-year term of office.